Ever wonder what to do with a swatch? 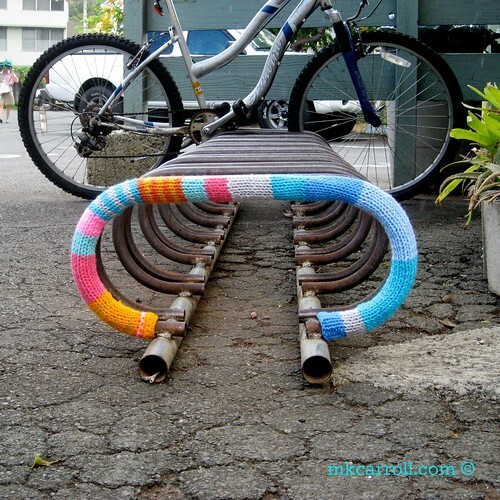 I knit this during the planning phase of the Spalding House yarnbombing and was going to unravel it to make some yarnbombs with - and then realized it would make a perfectly good yarnbomb as is! It was a little too long, so I picked out a row and bound it off to make a perfect fit. 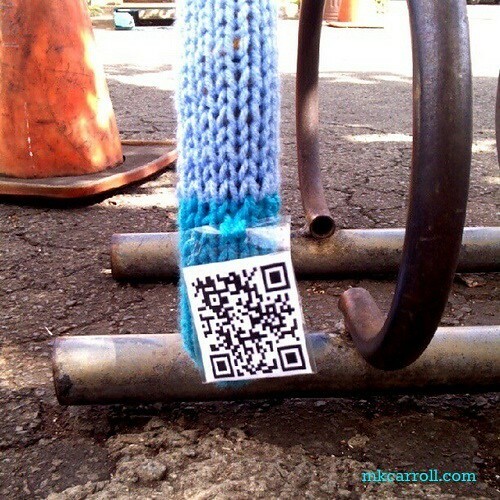 The yarnbomb has been tagged with a QR code that goes to theFUZZhawaii.blogspot.com (it's also written out on the back of the tag for those who don't want to use a smartphone app).